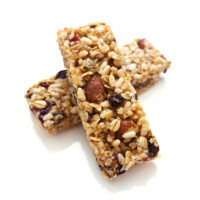 Home » Nutrition » Healthy Eating » Tasty, Fun and Healthy Snacks Kids Will Eat! I often hear, “my kid wants junk.” She’s so hungry after school, carrot sticks won’t cut it! I’ll never be able to get them to eat healthy foods. First, believe that change can occur – there are healthy foods your child will enjoy. I see eating habits improve all the time. When possible, get your child involved in meal and snack preparation. If she plays a role in food preparation at least a couple times a week, she will be more willing to try the foods served. Identify which snacks really need to improve or change entirely. If your child is eating cheese puffs every day, take them off the shopping list for a while. Some kids need a snack or mini-meal after school before dinner because lunch is served early in the day. Fruit parfaits – A couple layers of low-fat vanilla yogurt, mixed with a low sugar crunchy cereal and colorful fruit (like grapes, orange segments, pomegranate or berries). Frozen berries can be put in the fridge to defrost and eaten the next day in a parfait at a margin of the cost. Find out more ways to have fun and creative snacks your kids will eat! « Exhausted and Reaching for Sweets – Could Your Brain Be the Culprit? Comment on Tasty, Fun and Healthy Snacks Kids Will Eat! Does anyone knows if there is any other information about this subject in other languages ? Great ideas ! My kids love fruit skewers. Just take a skewer and add a few grapes, strawberries, pineapple chunks … be creative. Even veggie skewers are more enticing to my kids than just placing the vegetables on their plate.